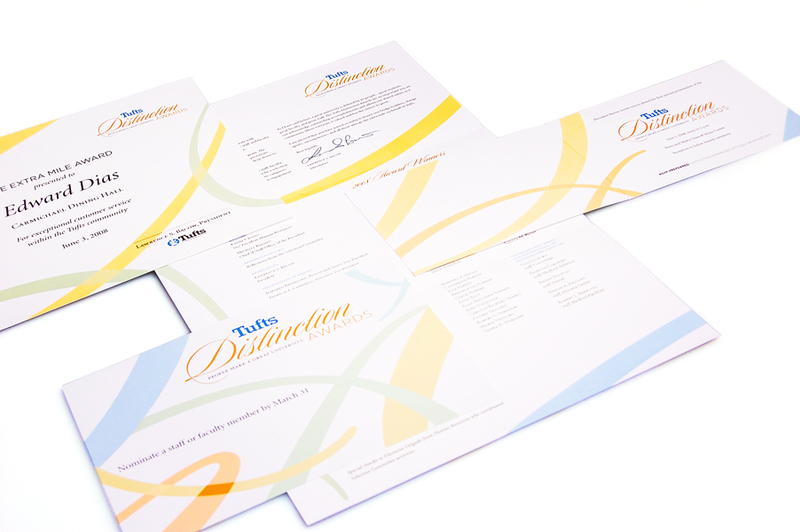 The office of the president and human resources launched the Tufts Distinction Awards to recognize the achievements of staff and faculty. 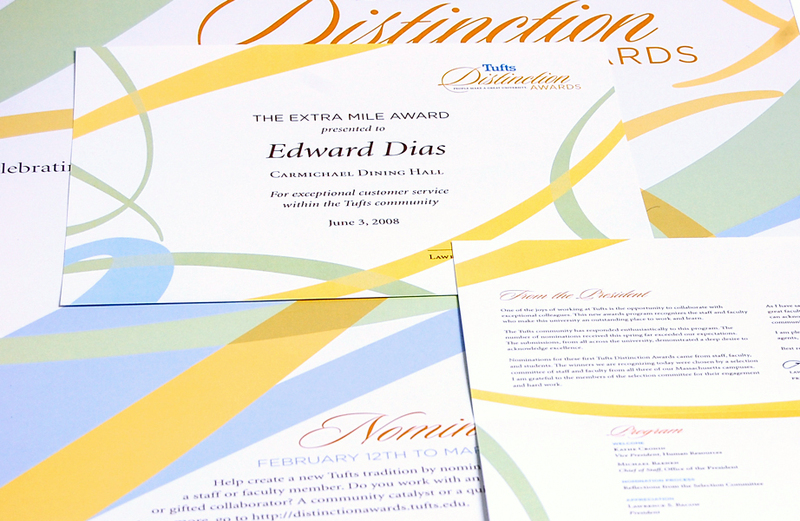 The identity and collateral materials we created conveyed a feeling of spirit, community, and celebration. The design for the first annual celebration was well received from the president to the attendees and was used for years to follow.